If you haven’t heard about pt-nat yet, rest assured you’ll see it popping up on wine lists around the city. Short for petillant naturel, pt-nat is a type of sparkling wine that’s lightly fizzy and relatively low in alcohol. It’s made by the methode ancestrale, the oldest form of sparkling wine making in which the wine is bottled before it has finished fermenting, so the bubbles are captured in the bottle. Pt-nat originated in the Limoux region of France, but it’s now made all over the world. Pt-nat is the perfect foil to Champagne: it’s simple, easy and uncomplicated – both in how it’s made and how it’s meant to be enjoyed. Pt-nat usually falls into the natural- wine category, but it’s more approachable than the average natural wine. Perhaps this is because bubbles disguise a multitude of sins – consider how many of the world’s finest Champagnes have such high acidity that they’d be almost undrinkable if bottled still. Where many natural wines can have nose-searing levels of vinegary volatile acidity or a funkiness to rival the stinkiest of blue cheeses, pt-nat’s fizz keeps the flavours lively and zesty. There aren’t a lot of pet-nats on the market and they aren’t often identified as such on the labels. Look for bottles sealed with crown caps instead of the usual wire-wrapped corks, as well as sparkling wines with obvious cloudiness or sediment. A couple of producers have made it easier on consumers and started using the term on the label: In Edmonton you can find Sinss Pt-Nat from Germany and Kindeli la Lechuza Riesling Pt-Nat from New Zealand. Most stores don’t carry pt-nat, however, so your best chance for scoring one is at some of the newer, modern eateries in town. 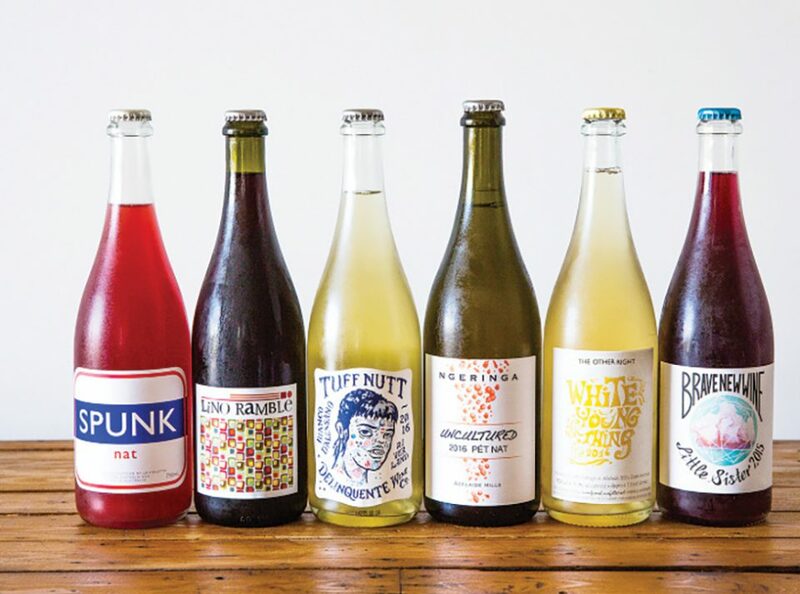 Pip, Clementine, Three Boars and Alder Room have all featured pet-nat on their wine lists.